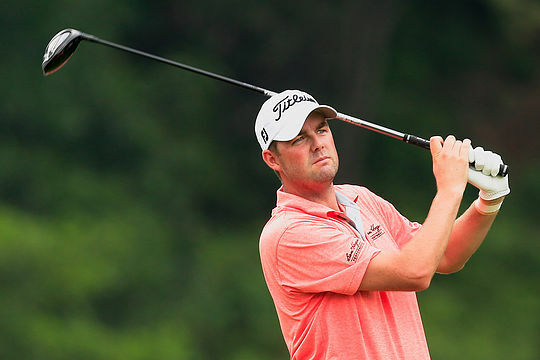 Victorian Marc Leishman has officially secured his place in next month’s US Open Championship, to be played June 16-19 at Oakmont Country Club. The 32-year will be making his 5th appearance at the Open having made the cut in only one of his previous four appearances. Leishman was one of 27 exemptions awarded to players inside the top 60 of the Official World Golf Ranking (OWGR) as of Monday, May 23. The other players to earn full exemption were: Byeong Hun An, Matthew Fitzpatrick, Ryan Moore, Kiradech Aphibarnrat, Rafael Cabrera Bello, Kevin Chappell, Jamie Donaldson, Sergio Garcia, Emiliano Grillo, James Hahn, Billy Horschel, Thongchai Jaidee, Smylie Kaufman, K.T. Kim, Chris Kirk, Patton Kizzire, Soren Kjeldsen, Russell Knox, Anirban Lahiri, David Lingmerth, Andy Sullivan, Justin Thomas, Jaco Van Zyl, Lee Westwood, Bernd Wiesberger and Chris Wood. Garcia, who recorded his ninth PGA Tour victory by winning the recent AT&T Byron Nelson Championship, is the highest-ranked player in the current OWGR that was not previously exempt into the US Open. The number of fully exempt golfers may increase with the inclusion of the top 60 players from the OWGR as of June 13, with other Sectional and International Qualification pathways continuing over the next few weeks.